apartment 202: ways to say "olive you"
ways to say "olive you"
It's the week of love, as some might say. Hearts pollute each and every store window and I spend most of my morning commute toggling between Valentine's Day gift commercials on the radio. I am not a Valentine's day person, which you may have already guessed. But it's not because any lack of a valentine. I dislike Valentine's day for two reasons: (1) I am not a fan of hearts and (2) Valentine's Day grossly overshadows my birthday. Have a Valentine that is a friend or a relative? Giving a hand-made valentine without all the mushy nonsense is the perfect way to say, "I care about you." 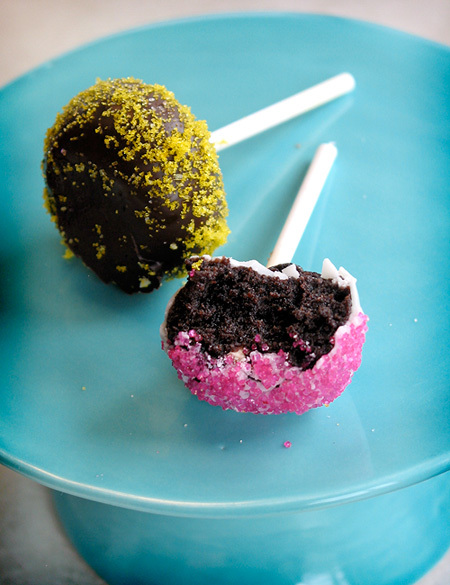 Cake pops are the perfect way to make a decorative treat that makes a great presentation. Find two glass vases of differing sizes (the smaller of the two being shorter and at least one inch narrower than the largest vase). Place the smaller vase inside the larger vase and fill the smaller vase half way with water. 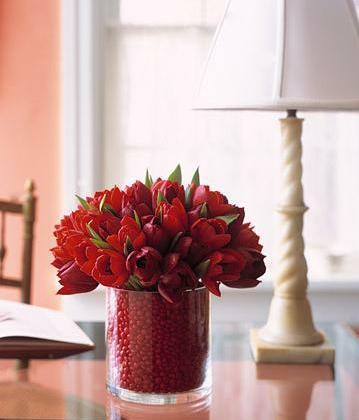 Fill the gap between the two vases with candy (red hots offer the most color). Trim tulips to fit inside smaller vase and secure with rubber band. Place tulips inside smaller vase.